Oh boy! Father's Day is coming up quick, real quick! Since we are the biggest procrastinators ever, we decided to come up with a short list of easy and inexpensive Father's Day gifts that you can whip up in no time...since we have very little time...yikes! Yep, the goodness of bacon and short-bread will be sure to delight any man...except for mine, he dislikes both. He's definitely NOT the norm though. Most guys would LOVE to bite into these savory delicious cookies (we stumbled upon the recipe on Closet Cooking). 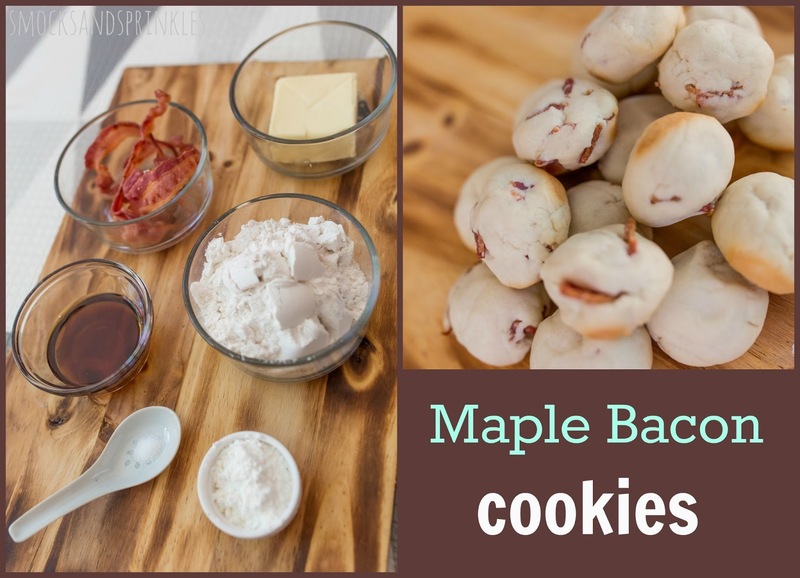 With only 6 ingredients, they are incredibly easy to make! Throw in some dried herbs to make them extra savory or add some dark chocolate chips for a sweeter treat. 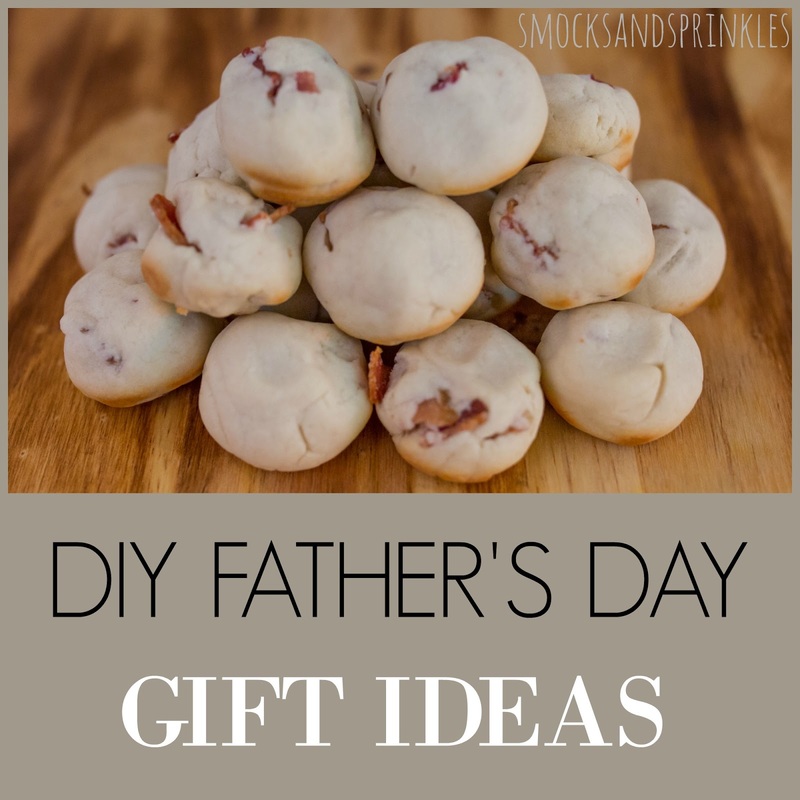 You can fill mason jars with pretty much anything: favourite treats/snacks (try to get creative...candied nuts, flavoured popcorn, coffee beans, maple bacon cookies, BBQ sauces), Father's Day coupons, sports paraphernalia etc. 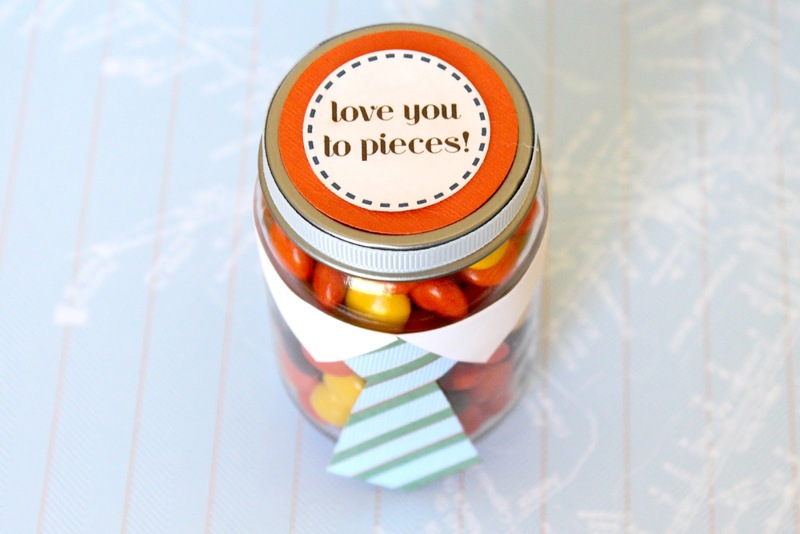 Here is a great list of ideas to fill up your jar. 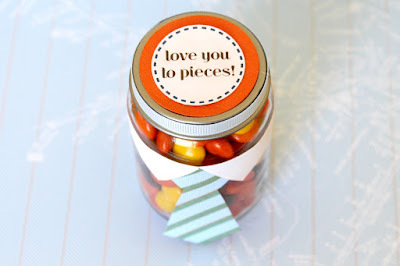 Package it up all cute (check out our post on mason jar gifts) and you are good to go! 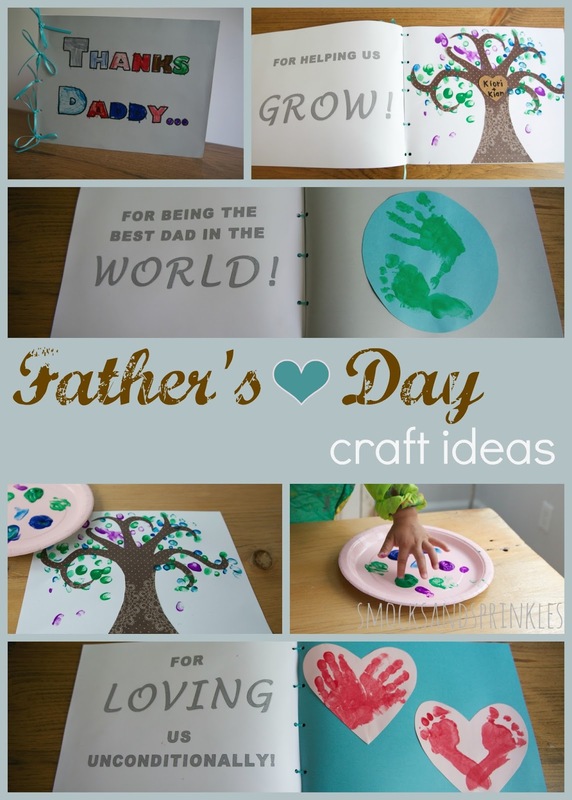 Get your kiddies involved and whip up some adorable hand-print artwork! Have a look at this Father's Day book we made last year for some cute ideas. 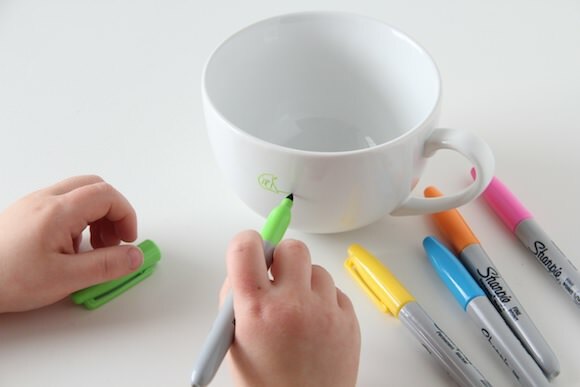 All you need is a cheap plain white ceramic mug and some sharpie markers! Have your kid decorate the mug, bake it in the oven (350 degrees for 30 minutes) and wrap it up for an awesome gift. Full tutorial here. 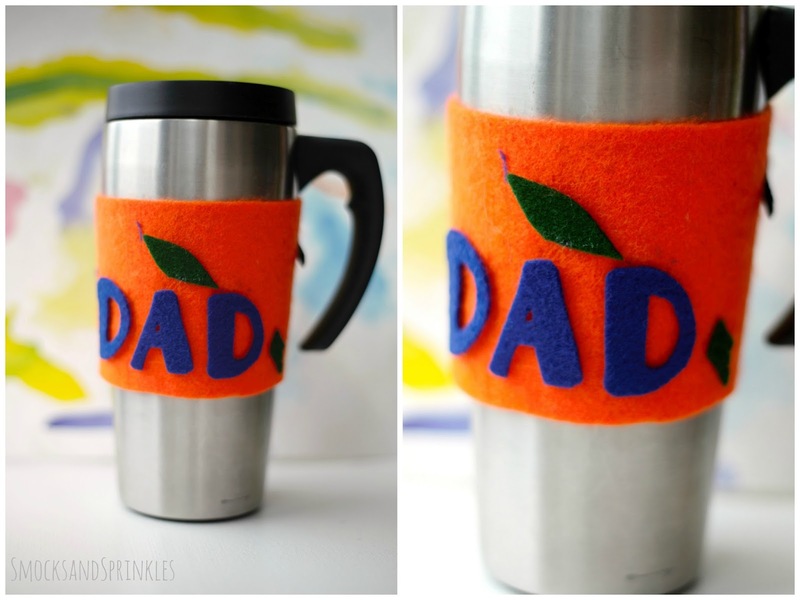 Your kid will have a blast making this easy craft for all the coffee loving dads out there! 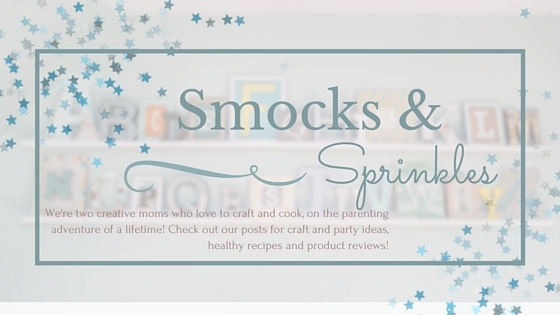 Follow our tutorial to make your own! Good luck on your last minute gifting...it's the thought that counts, right?! Happy happy Father's Day to all the amazing men in our lives!